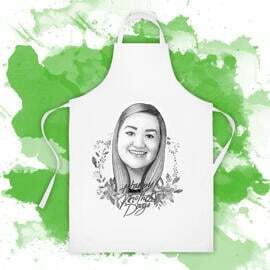 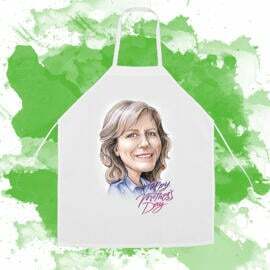 Order a personalized photo apron with a printed cartoon drawing of your mother, who will be hand-drawn from photos in colored digital style. 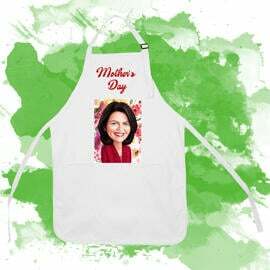 Apron with printed drawing will make an original gift idea to your mother. 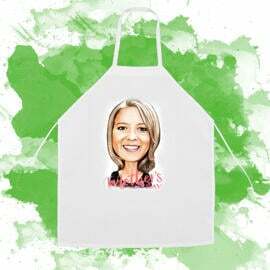 She will adore this custom-made apron with her personal cartoon drawing. 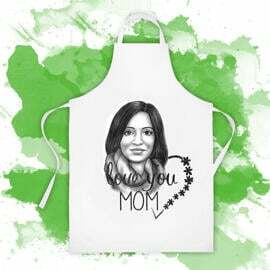 We will add a beautiful designs in honor of Mother's Day, which will decorate this illustration. 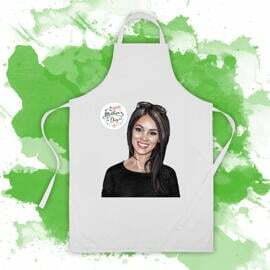 Kitchen aprons are made of qualitative and durable fabric. Worldwide shipping is available.